Located only 17 km from Florence. Multisport terrain freely accessible (synthetic turf) Football and Tennis Court. Country house of 100 m2 on two levels completely renovated respecting the traditional Tuscan style. Surrounded by green countryside dotted with cypress and olive trees, is the ideal place for walkers and nature lovers. You will love the peace and quiet of this house offers the comfort of spacious bedrooms, a living room with fireplace and a fully equipped kitchen. Located at only 17 km away from Florence (15 minutes away by train from Lastra a Signa station), the apartments have been completely renovated to preserve the traditional Tuscan style. The silence and quiet of this location will ensure a memorable stay in touch with nature. MULTISPORT court (artificial turf) on site: TENNIS & FOOTBALL court. SIGNA: 6 km away - Swimming pool, Lake, Beach volleyball, Minigolf. Tirrenia, Marina di Pisa: 70 km (1h) - The nearest sandy beaches. Castiglioncello: 90 km (1h 10) - Rocky shore and pebble beach. Viareggio, Marina di Pietrasanta (LU): 100 km (1h 20) - Sandy beaches. San Vincenzo (Spiaggia di Rimigliano): 120 km (1h 30) - Beach of very small pebbles. Monte Morello: 30 km away. Abetone (ski resort): 88 km away. Hosting my guests and putting them at ease is what I care the most. I speak Italian, English and French. Quiet, clean, relaxing and very close to Florence. Wonderful Experience at our stay in this Lovely Apartment. We just wanted to say Thank you for your kind hospitality and accommodation arrangements at your lovely apartment in Lastra a Signa. You provided lovely refreshments and drinks during our welcome and made our stay at your home pleasant and would certainly recommend this place to others. Hope to come back here again. 1. 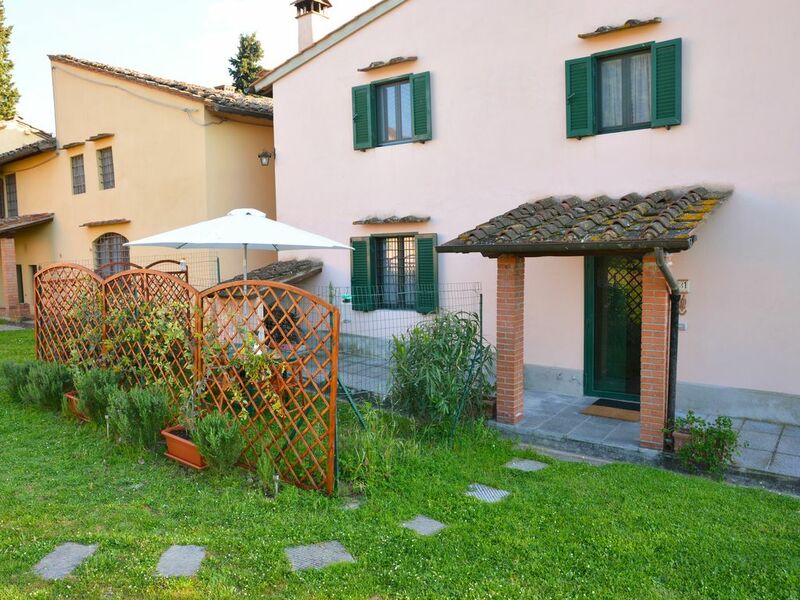 Very close to main line and tram station to Florence SMN with free car parking. 2. 1 Hour drive to Pisa. 3. Set in Beautiful rolling hills of Tusacany away from busy area. 4. Couple of hours drive to Cinque Terre ... Beautiful seaside resort. The apartment was fabulous and well decked out, spacious and comfortable. The apartment was one of 3 or 4 set in the quiet and beautiful hills near Signa, approximately 10Km west of the centre of Florence. I would recommend the need for a car, but on the couple of occasions when we visited Florence we would park-up at the locale railway station at Lastra a Signa and used the relatively cheap public transport into the centre, which takes about 15 minutes. The hostess was friendly and helpful and I would consider this rental to have being excellent value and would gladly recommend it. We had a really good time here. The rooms were clean and spacious. A lovely, quiet place to relax after visiting Florence or other Tuscan sights. A short drive to the station in Strada and then 17 minutes by train to Florence centre. We had the tennis court to ourselves which was great. A real Tuscan feel with the olive trees around the court. The holiday home is located on a hill and from some spots you get a beautiful view of the lovely countryside around the place. Ample parking. There's wood for a fire in the living room. Some really nice goodies from lovely host Cristina as a welcome. You're in the approach route of Florence airport but that didn't bother us much and you can hardly hear this inside so don't let that put you off. Nights are really quiet. The wifi is on and off but other than that this is great place to stay! I would like to give a big Thank you to Cristina, the host of this beautiful place. She was very kind since beginning of our Holliday. We contacted her and let her know we would arrived late to her place.. She Surprised us with a beautiful basket full with small things enough for a light dinner. We have been two families and stayed there for a full week. Everything was perfect( less weather- too hot). Cristina was wonderful. She was very helpful and provided a lot of good advises. Overall a small piece of heaven for us who are living in a big city. Once again thank you Cristina for everything! Beautiful location for a Tuscan vacation. The hospitality and property were beyond my expectations. Beautiful views and convenient to transportation and the main roads. Very clean and comfortable with all the extra touches that showed the owners were very special people. Would recommend this property as the hub for any vacation stay in Tuscany.